Geisha in undoubtedly a luxury, but in one important way, it deserves the hype. 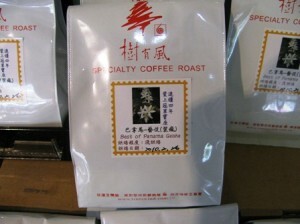 It is the first coffee to be grown commercially just because it tastes good. The piece ends with a neat juxtaposition between World Coffee Research’s monumental International Multi-location Variety Trials and the more geographically focussed, but no less ambitious, in its own way, effort by the Peterson family. They’re looking for a new Geisha among hundreds of other Ethiopian landraces they are now testing on their Panamanian farm. I only have one bone to pick with Ms Neuschwander: why not fully acknowledge the role of the genebank at CATIE in all this, rather than just referring, anonymously, to “a research facility in Costa Rica”?